According to the latest operational update by Wentworth Resources, about the drilling operations of the MB-4 development that are expected to commence in the next few days, the company sees clear, tangible progress towards first gas being delivered into the new pipeline in the summer. 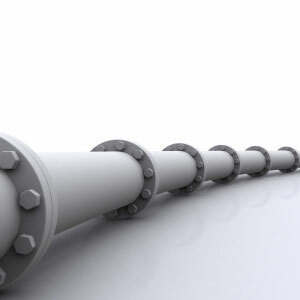 The Tanzanian Petroleum Development Corporation (TPDC) recently announced that the new regional gas pipeline to Dar es Salaam is approximately 95% complete and it is anticipated that the main pipeline contractor will hand over the management of the infrastructure including the processing plants to TPDC late Q3 2015. Geoff Bury, Managing Director, of Wentworth Resources commented: “We are very encouraged by the progress of the pipeline infrastructure and all aspects of the gas pipeline project. Whilst completion and commissioning delays will impact the timing and amount of expected cash flow generated in 2015, we see clear, tangible progress towards first gas being delivered into the new pipeline in the summer and look forward to ramping up volumes of gas supply, helped by additional production capacity expected from the MB-4 development well. “In light of this delay, we are continuing to work on securing additional debt financing to ensure that we have sufficient funds available to see us through to first cashflow. With the pipeline project nearing completion and a signed long-term Gas Sales Agreement, Wentworth and the Mnazi Bay Partners are well positioned to be the first suppliers of gas into the new pipeline.” Bury added.